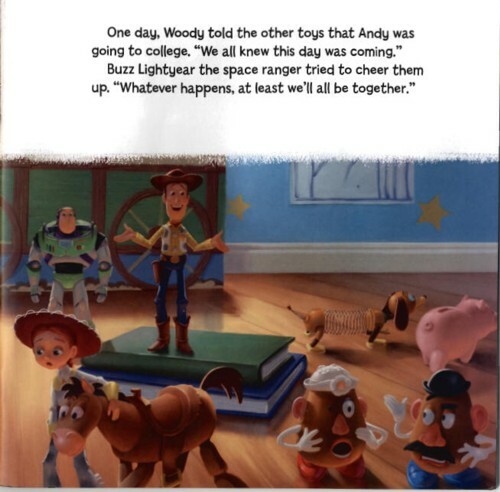 Woody, Buzz Lightyear, their pals, and a whole crew of new toys are along for the ride in this nonstop adventure. 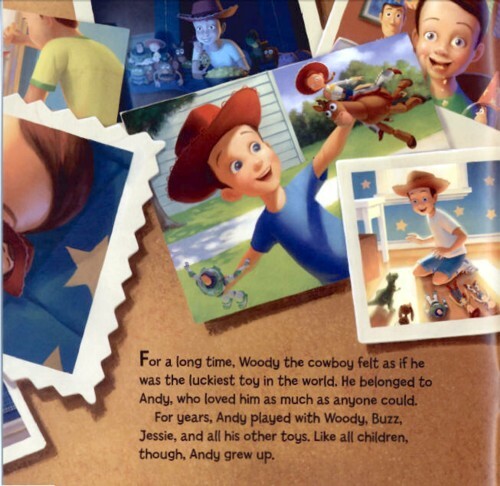 Readers can turn the pages at the sound of the chime and follow along with the word-for-word narration on the CD. 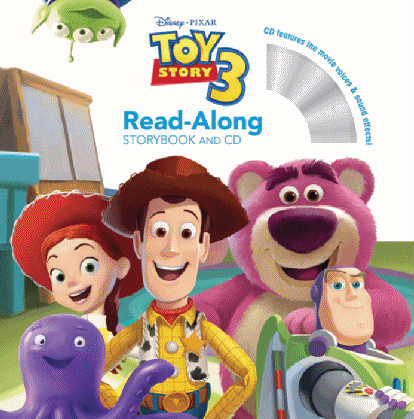 With original character voices and movie sound effects from the smash-hit Toy Story 3, this thrilling read-along brings all the action to life! I bought this for my 2, 4, and 6 year olds to listen to. Since the attention span of this age group is not incredibly long I found the story to be the perfect length. 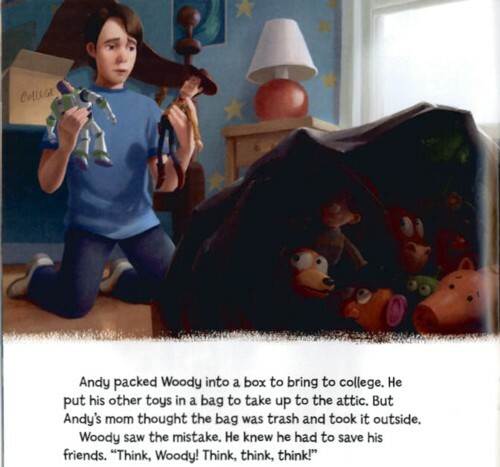 I liked how it was the original cast that lends its voice to the characters in this book. The only drawback that I found was that the book itself is a little flimsy (hence 4 stars rather than 5). So, I do make sure my kids are not fighting over it and that it is put away right after they are done listening to the story. All three of them enjoyed the story and it kept their attention the whole time.